I have four words for it: it blew my mind. Ken D’Oronzio from Paradise Partners presented his fairly new product: SoSIMPLE Calendar. I have four words for it: it blew my mind. He had a session for it during DevCon but I didn’t get to see it, so I was looking forward to it, especially, because I have a client who could use the calendar in his new database. It is a product of many features. 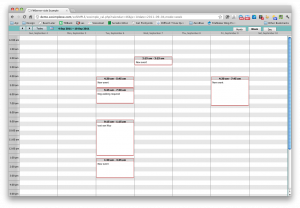 SoSIMPLE Calendar takes advantage of several web technologies such as PHP and AJAX, but it is built on FileMaker. 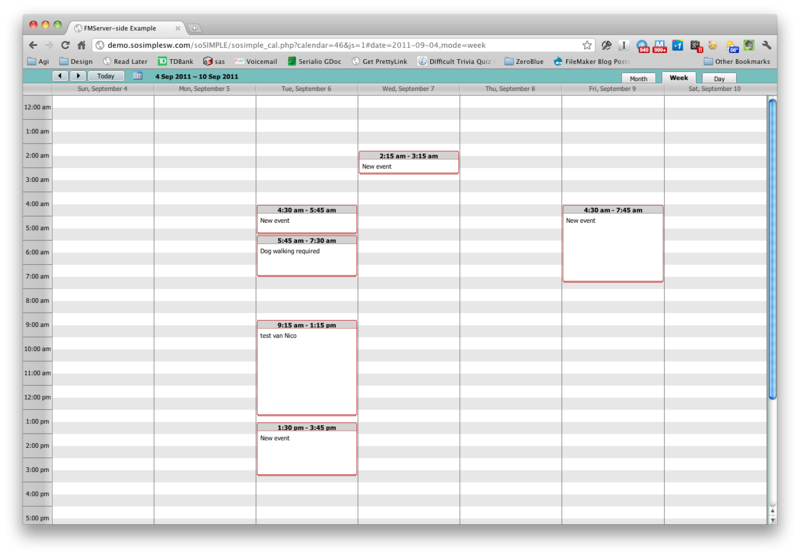 This will be a calendar solution ZeroBlue will implement in client databases, starting now. Subscribe and feed data to Google, Outlook, iCal, etc. Ken did a good job getting everyone’s interested in the product. The room was full of excited developers ready to dig in. We got to ask questions and got a walk-through for creating and viewing a calendar. This is what a community meeting is all about. I can only recommend SoSIMPLE Calendar. Most certainly looking forward to implementing it.